Students of the magazine publishing class learn how to bring experiences to life on paper and are given the opportunity to showcase their skills through the yearly magazine. Students of the Lights, Camera, Action class learn how to write, shoot and edit a video package with the help of seasoned professionals. The arts experience seminar brings students from all over Alabama with the purpose of exposing them to the variety of cultures and technique found in the locations such as the Birmingham Museum of art. The Health Care class gives students a chance to learn about the reality of work in modern health care through field trips and job shadowing. By providing an exciting introduction into the legal process, this seminar helps cultivate an interest in the factors that guide behavior. Through numerous field trips, the Business Seminar provides campers with ample opportunity to experience first-hand the intricacies of modern management. Students of Research Science are encouraged to ask connections, make connections, and combine their knowledge of various subjects in order to form research questions and solve them. Student learn the process in which a team goes through in order to send a rocket to Mars. They learn orbital mechanics, design rockets and gather the needed supplies. 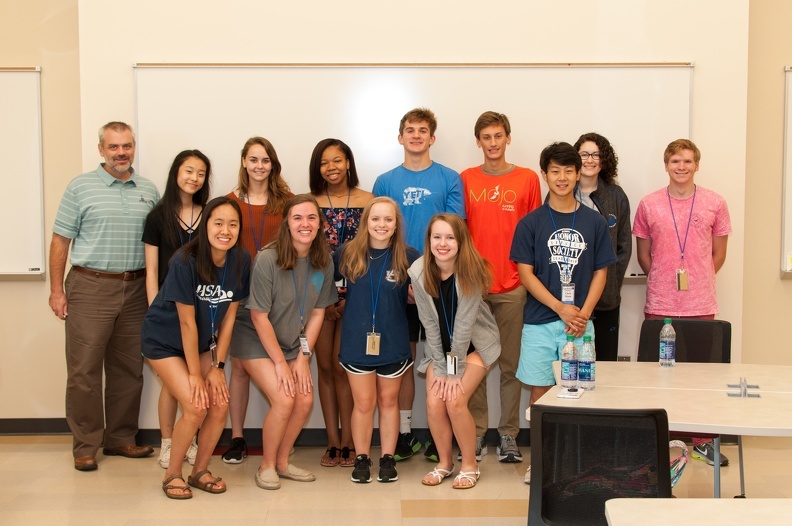 While almost every student took pictures during their two weeks at the governor’s school, the students of the Photography class were able to raise their skills to the next level by acquiring the knowledge needed to get the most out of their cameras. During the two weeks of Governor’s school, campers learn of both the history of the industry and the interpretations that create the vivid stories and depictions of modern film. In Global Citizenship, students are given an opportunity to broaden their outlook on the word through lectures and discussions. By immersing students in the tools needed to fabricate web pages, the web design class arms the attendees with the tools needed to forge both beautiful and practical websites (as shown by this site). Creativity students are provided with numerous activities that foster the open-mindedness needed for the world to progress. By examining the controversial Greek story of Medea, campers examine both the legal and historical controversies of this ancient tales. Through tours and activities, students of Sports Medicine were introduced to the different facilities and procedures used in fitness. Through long hikes and adventures, students of Walk on the Wild Side are provided with a unique view of the biological side of Alabama without the constraints of a traditional setting.